Shortly after doing some secondary research and talking to people who had lived in Brazil, we realized that the way we, Americans, think about money and making purchasing decisions, were a little different than Brazilians in the C-Class and so we dedicated a whole field report to just this topic. We used these factors as criteria in our recruiting process and met lovely people that spanned C1 (average monthly income R$1710) and C2 (average monthly income R$1128) classes. 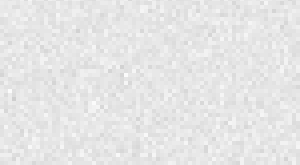 This is how C-Class thinks about and uses money. Multi-family homes are typical in Brazil. 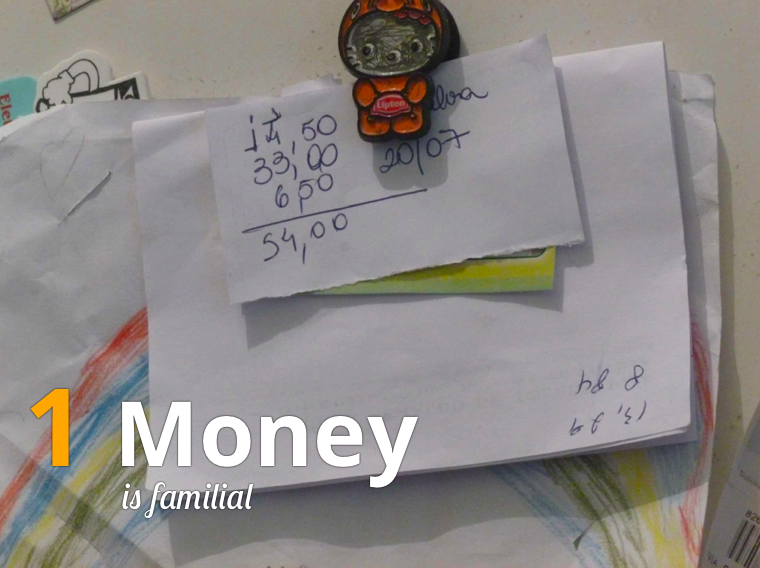 Families share the economic burdens of supporting children and running households. Individual incomes are pooled together for monthly expenses as well as purchases. Expensive items, such as a home remodeling project may even have family members who don’t live in the house contributing money. One of our participants, Hector, told us about sharing the expense of his remodel. 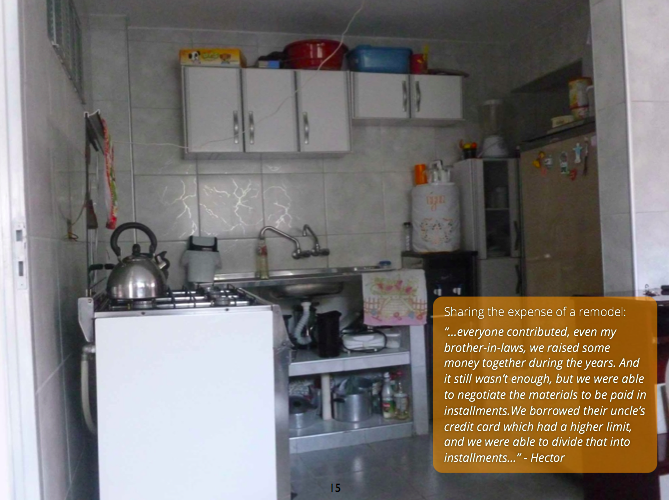 He said, “…everyone contributed, even my brother-in-laws, we raised some money together during the years. And it still wasn’t enough, but we were able to negotiate the materials to be paid in installments. 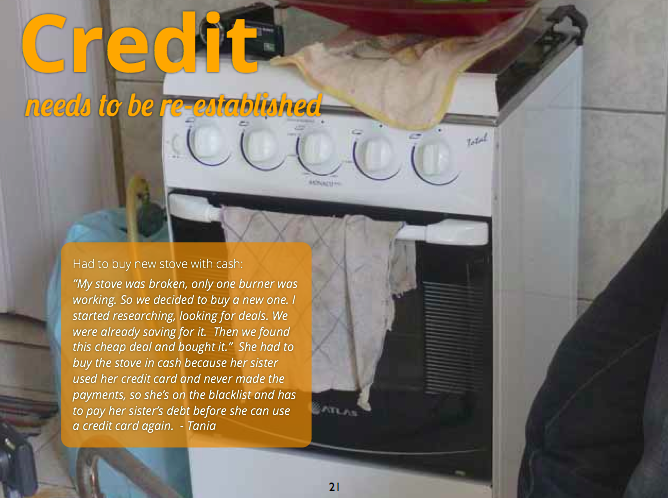 We borrowed my uncle’s credit card which had a higher limit, and we were able to divide that into installments…”. 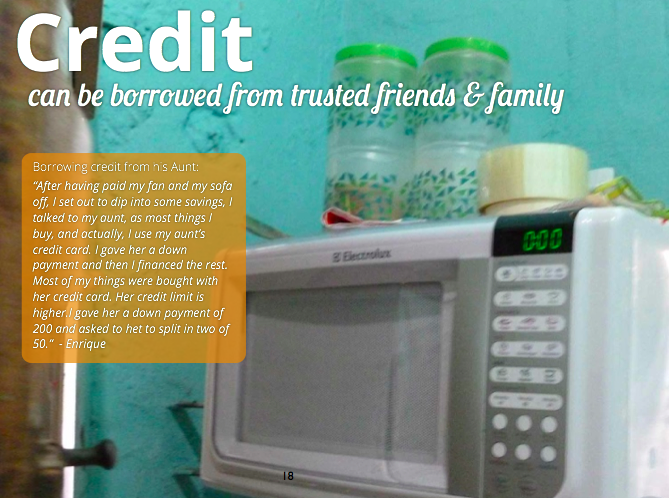 Credit can be good or bad depending on who you talk to. Using credit was prevalent amongst our participants. 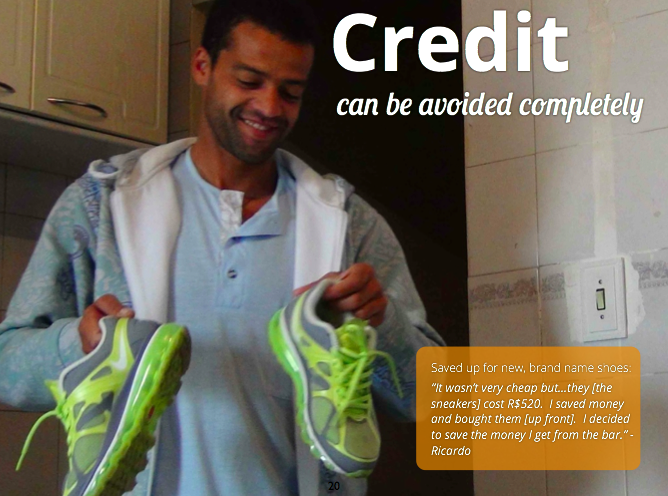 On the flip side, Ricardo avoids using credit because he doesn’t trust it. He feels it is difficult to manage, and he could easily get into debt if he used credit regularly. He bought these new sneakers by saving money that he earned from his part time job. 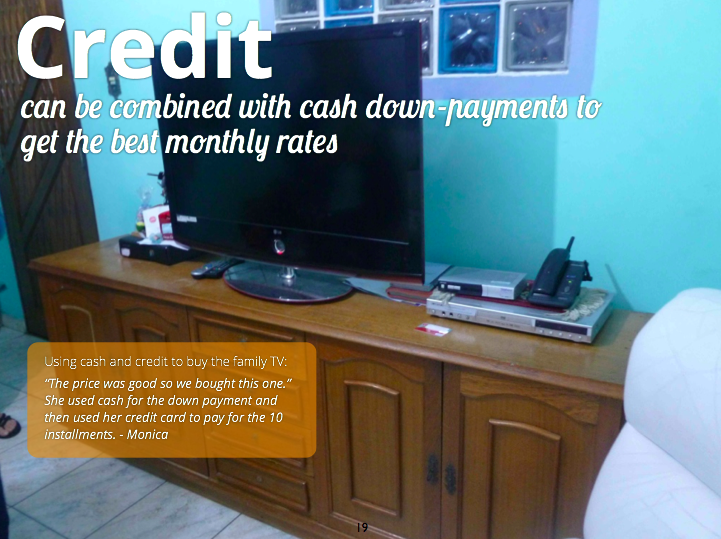 We also met people like Monica, who combine cash and credit to make big purchases like her family TV above. The price was good, but she and her husband didn’t have all the money in cash. They paid a specific amount of money up front and used credit to finance the rest. Brazil is an emerging market and they are putting money into material goods instead of their modest homes. And they want more. 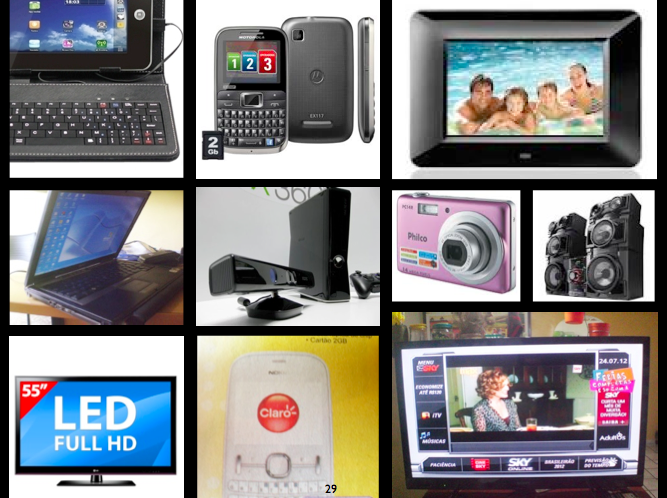 This group is interested in buying high-tech devices – especially those used for communication and entertainment. They are also practical and look for the best deal and the most effective way to spend money. When selling a phone to this group of people, we need to pay close attention to the price and the functionality. The phone needs to be affordable, but at the same time not seen as “cheap” otherwise they will not value it as much as their current phones. In terms of functionality, the phone needs to have the communication and entertainment features such as FM radio, TV, MP3 player and a good camera so that they can satisfy their core behaviors with the phone. 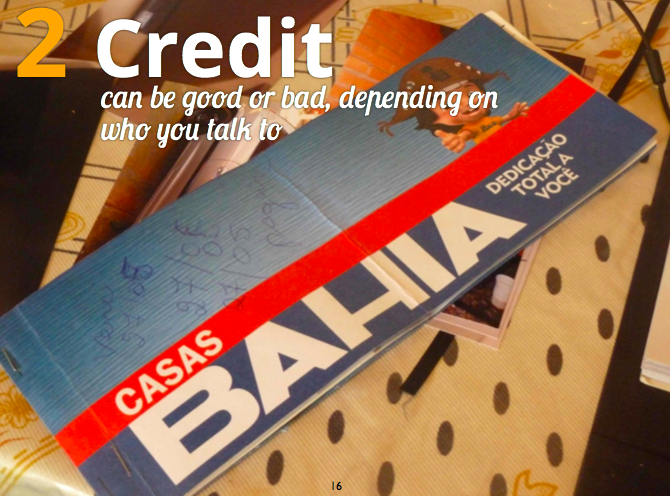 Cool post about Brasil and credit. I am hoping to make my way there in 2014 for the Copa do Mundo. What’s the recent interest in Brasil for Mozilla?